GoDaddy Hosting Review: Read this review before hosting your site with GoDaddy! Scottsdale, Arizona-based GoDaddy is arguably the best known hosting company in the world. Founded in 1997 by Bob Parsons, Americans and other global citizens who aren’t even connected online have probably heard of it from its NASCAR sponsorship, one dollar domain names, and sizzling Super Bowl ads featuring professional race car driver Danica Patrick, fitness guru Jillian Michaels (“The Biggest Loser”) plus other attractive women. Recently, GoDaddy has ditched the sensationalism of its past marketing campaigns to consolidate its leadership position in the hosting sphere. After all, it is a billion-dollar corporation that employs over four-thousand people. It continues to target first-time customers but has also moved aggressively to attract small and medium-sized businesses. Mainstream recognition is one thing, but does GoDaddy deliver the e-commerce goods? Do its strengths justify a serious long-term commitment on your part, or is it better to simply look elsewhere? 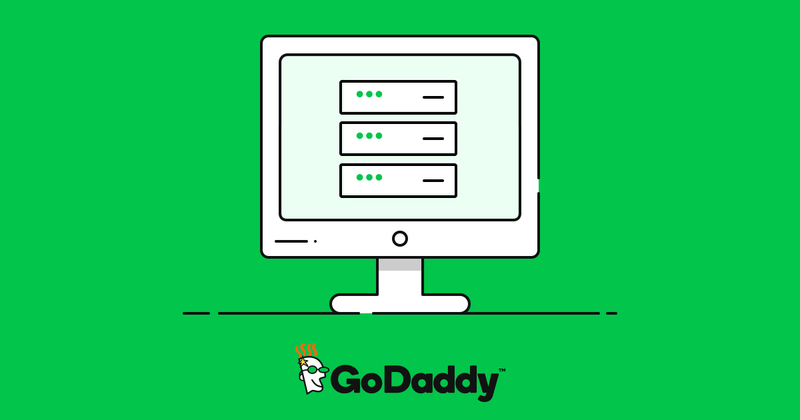 GoDaddy’s four (4) main hosting options (note: Multiple pricing plans within each option) aim to satisfy any type of entrepreneur, from the complete newbie to large-sized corporation. Shared Web Hosting: Private space on a single server; “apartment complex” concept ($3.99-$8.99 per month). Managed WordPress Hosting: WordPress is the world’s most popular blogging platform, and 17% of today’s websites are built with WordPress. Secure, easy to use, and extremely fast ($1.00-$33.99 per month). Managed VPS Hosting: Select any Virtual Private Server plan and access the power of a dedicated server. Suited for high-traffic sites, creative agencies, and top-notch developers. Both Linux and Windows plans available ($34.99-$174.99 per month). Dedicated Server Plans: GoDaddy’s ultimate in website performance, security, and control. You have your own dedicated server at your disposal ($149.99-$437.99 monthly). “One-click” installation of over one-hundred fifty apps, including WordPress, Drupal, and Joomla. 24/7 customer hosting support via telephone or chat. MySQL and cPanel administration, ImageMagick, Logs, Site statistics etc. In recent years, GoDaddy has had some high profile issues related to downtime and its pricing policies. Some argue that its advertised low prices are merely facades to trap unsuspecting prospects. A 30-day “No-Risk” trial offer, if not an unconditional month-to-month hosting plan could help in this regard. Right now, you must upgrade to a Deluxe or Ultimate plan to take advantage of month-to-month payment plans. Paying for your website builder (a dollar per month) is also a minor drag that few of GoDaddy’s main competitors demand. Still, you are compensated with an above average builder that’s easy to use and produces good-looking websites quickly. If you are in the market for a website builder, you may also want to see our Web.com Website Builder Review. The base QuickShoppingCart ($9.99 per month) e-commerce software may be a bit more complicated that competing software, but the end result is a more flexible storefront look. You do get 1GB of disk space, QuickBooks integration, fraud management tools, and credits from Bing, Facebook, and Google Adwords. GoDaddy has largely shed its racy image to become a major player in business hosting, thanks to numerous specialized tools which include Linux and Windows servers, VPS, flexible website creation tools, WordPress access, and knowledgeable customer service. Only the heaviest GoDaddy corporate plans run for hundreds of dollars monthly, and most online entrepreneurs today can get started for around fifty dollars USD. Web hosting for all the technology involved is still a customer-oriented business, and GoDaddy continues to shine for small and medium-sized entrepreneurs. Friendly and prompt service for the most part and a strong frequently asked questions (FAQ) database to boot. Perfect? Not quite, but enough to put it among your top five web hosting choices should you be investigating options to launch your campaigns.